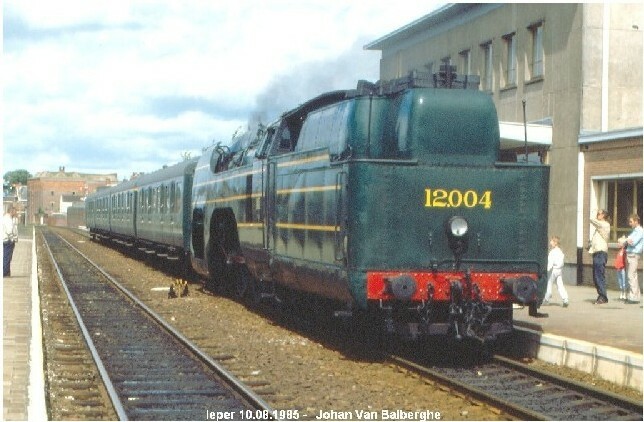 The 12.004 (La Douce) is a sumptuous steam locomotive of over twenty feet long , with whom he has already traveled four times around the earth. 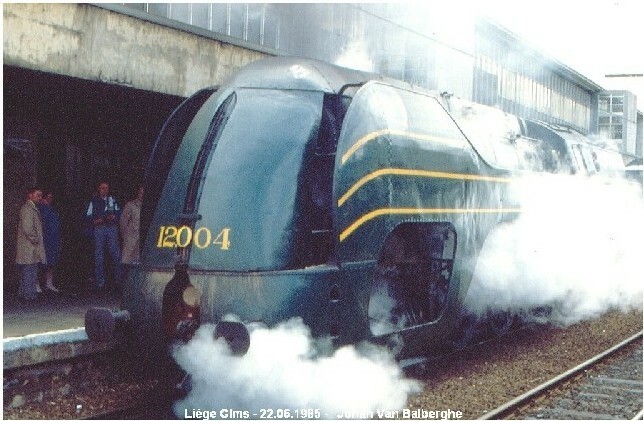 Leon calls his loco affectionately La Douce 1). 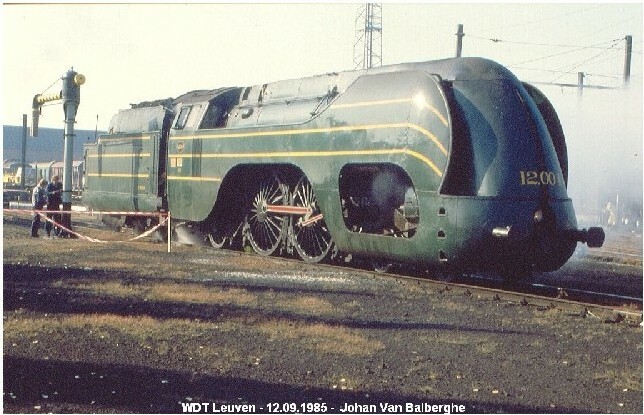 The fabulous locomotive heroine of La Douce is directly inspired by a real machine: the Atlantic type 12 engine, cut for speed with its spectacular aerodynamic fairing and designed in the late 30's for the Belgian railroads, delivered in only six copies just before the War World end its career. 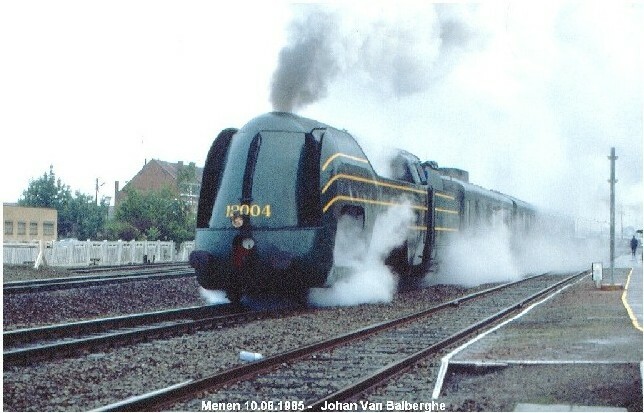 The type 12 achieved a top speed of 165 km per hour, amazing for its time 2). 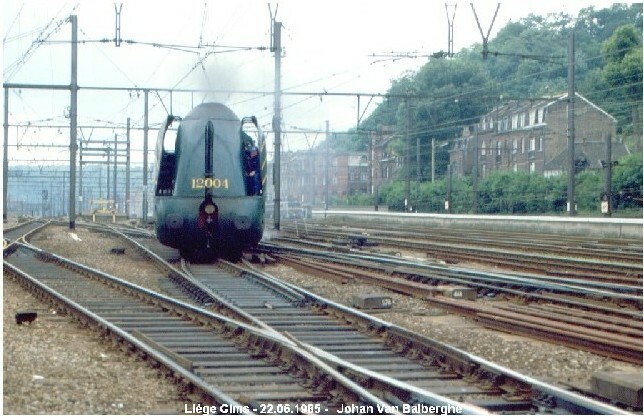 They were intended to pull the express trains between Brussels and Ostend. 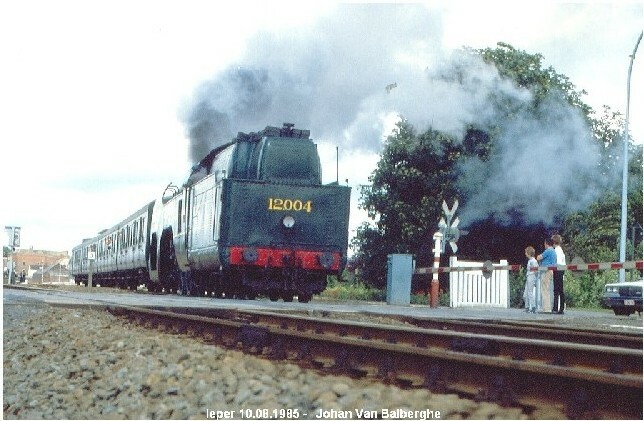 The type 12 Atlantic is one of the finest steam locomotives ever made ​​in Belgium. 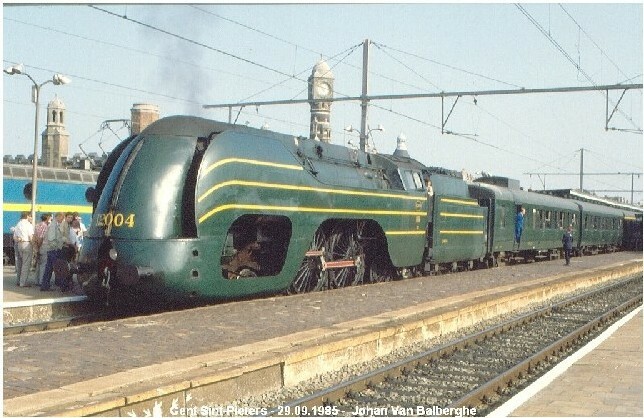 Of these sophisticated machines, with by then an impressive streamline and monumental wheels with a diameter of more than two meters, were only six built. 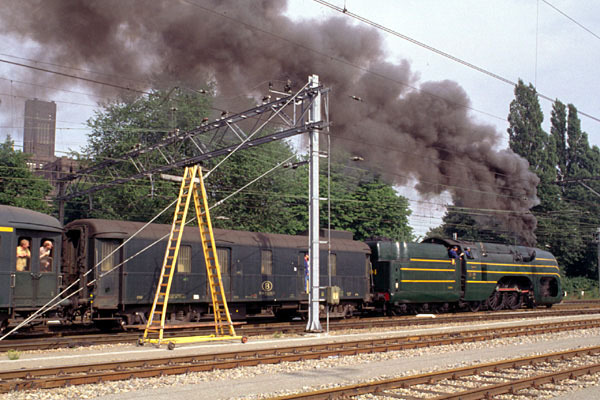 They were deployed in 1939 for hauling light fast passenger trains. 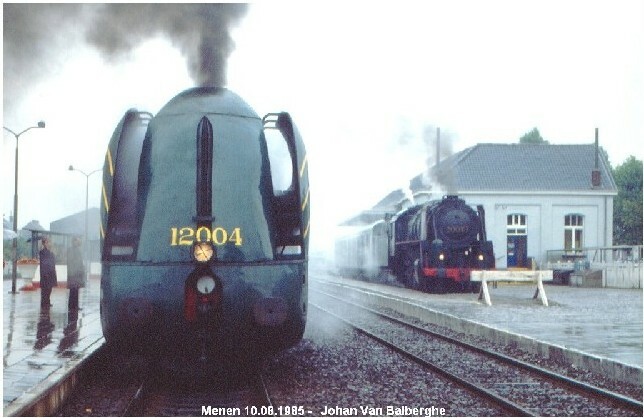 In the same year the type 12 broke the world speed record for steam trains and obtained the Blue Riband. 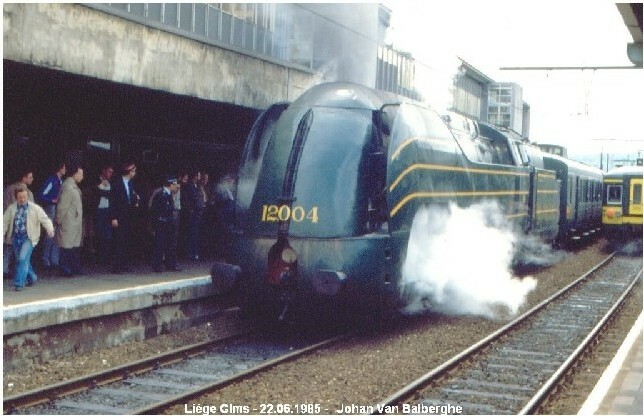 She traveled the route Brussels-Ostend with an average speed of 121 km / h and reached a top speed of 165 km / h.
The new Atlantic 1201 series were announced in Le Rail. Bulletin mensuel de la Société Nationale des Chemins de fer belges from May,15 1939. 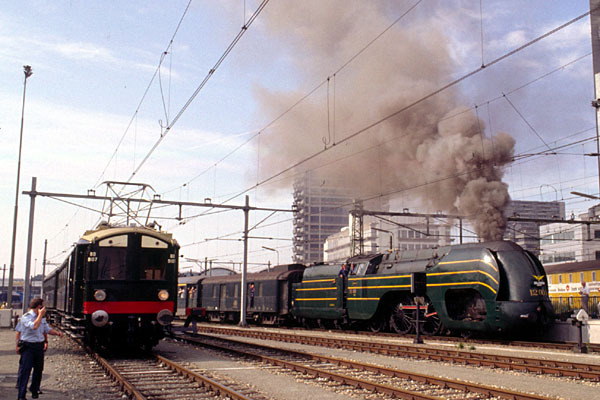 Since July 29, 1962 these locomotives are out of service 3). 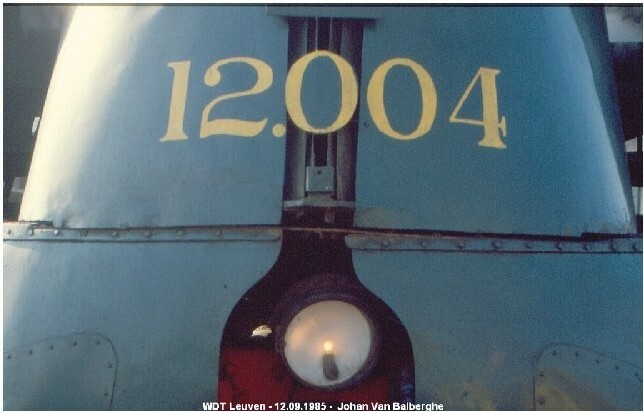 In 2015 12.004 has found a new place in the Belgium Train World museum. 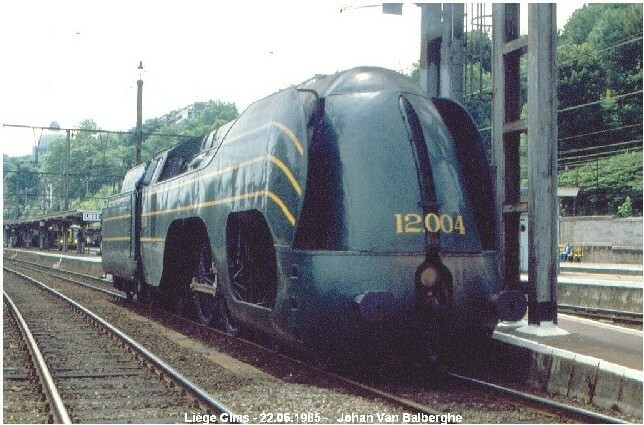 The type 12 was designed by engineer Raoul Notesse and built by a consortium of Belgian manufacturers. 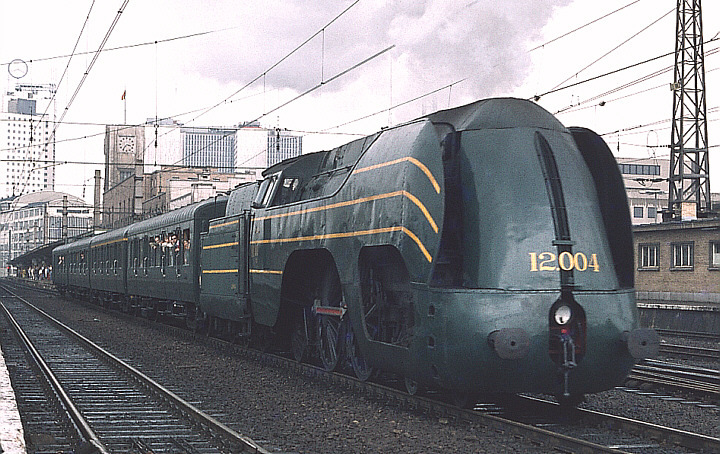 The streamlining was designed by the Frenchman André Huet and also applied to some of the French railway locomotives. 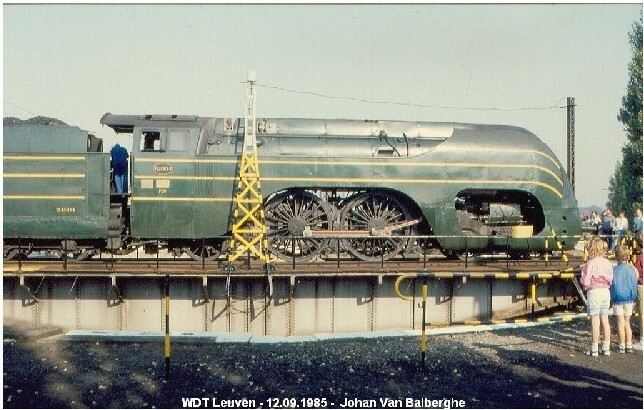 The coating consists of a shield surrounding divided in the middle on the head of the locomotive. It could be opened to provide access to the smoke chamber and the corresponding compressor installed. 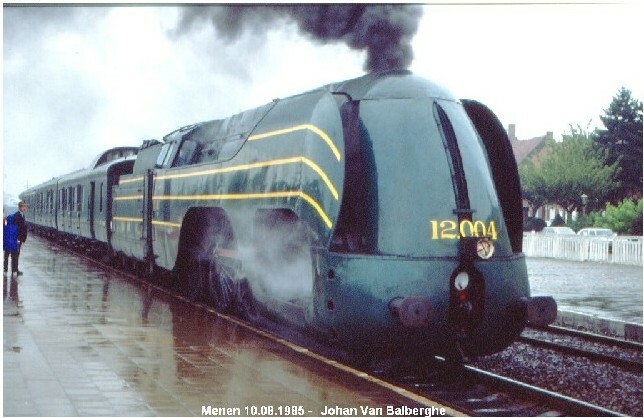 Along the side of the locomotive ran the streamlining as an apron with openings to the mechanism accessible. 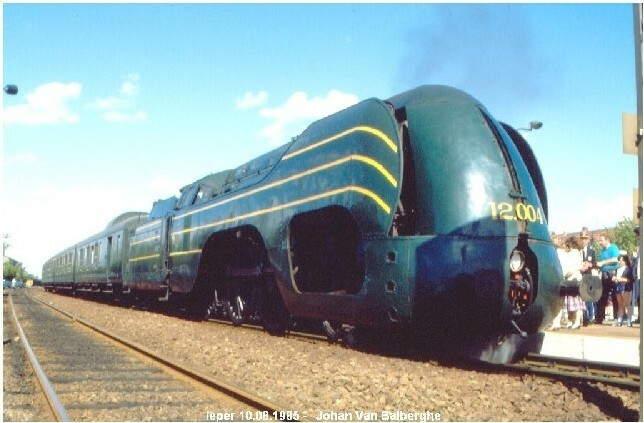 The shield plates followed the curve of the frontal shield and walked on to the cab 4). 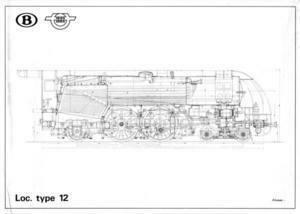 The locomotives were equipped with two inner cylinders with direct expansion and equipped with a dual exhaust and Metcalfe injector. 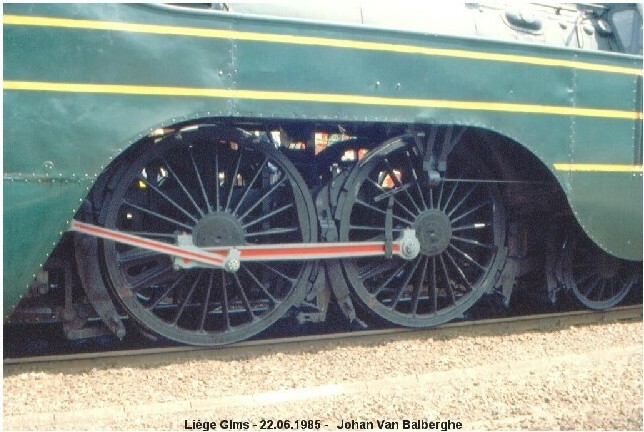 This arrangement of the cylinders increased stability at high speed, they were positioned so that the mechanism was easily accessible. 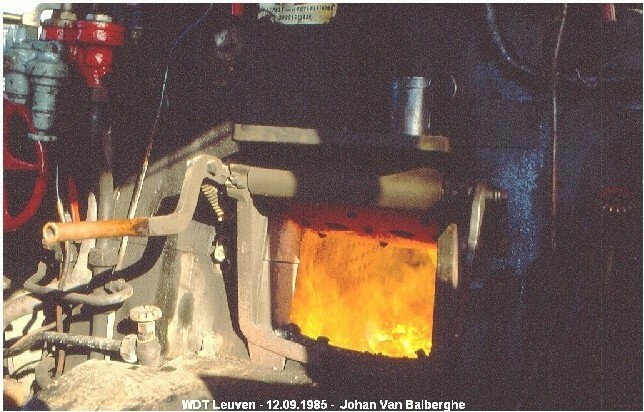 The fire was the Crampton type, the types of superheaters Chantrenne (2 machines) Salzinnes (2 machines) and Compagnie des Surchaufferus (2 machines). 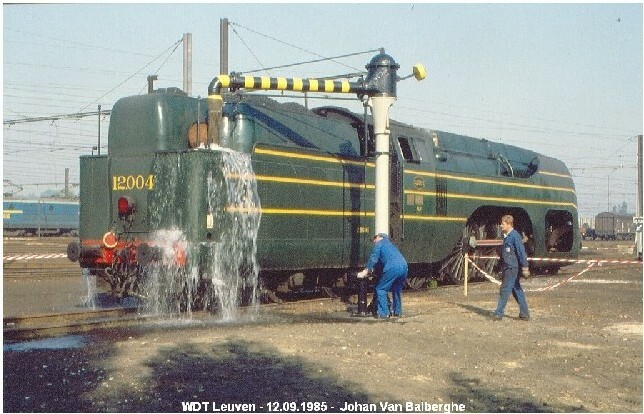 Four machines, from 1201 to 1204, received the Walschaerts steam distribution, the other two, the 1205 and 1206, received a distribution with steam valves. The program provided traction to tow light passenger trains (265 tons, five K1 coaches) at 140 km / h on flat lines. 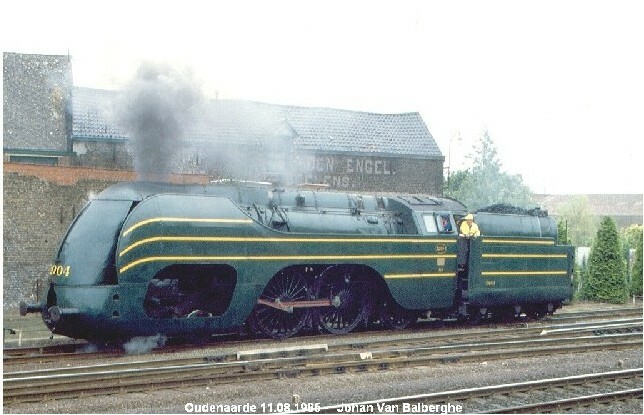 From the summer of 1939 dragged the locomotives of the type 12 Atlantic sneltreinenvan Brussels Midi to Oostende-quay in an hour, with a minute of downtime in Bruges. 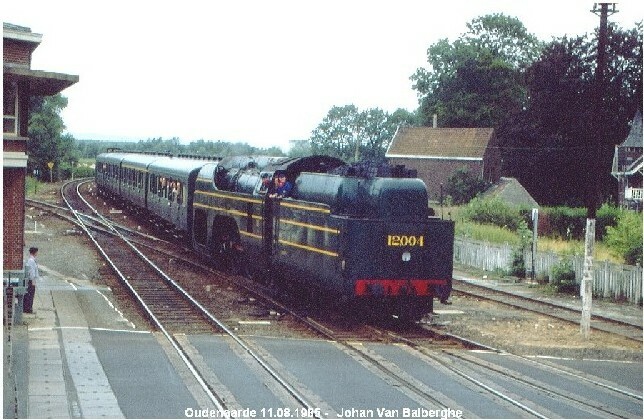 The speed of 140 km / h was allowed between Ghent and Oostkamp. 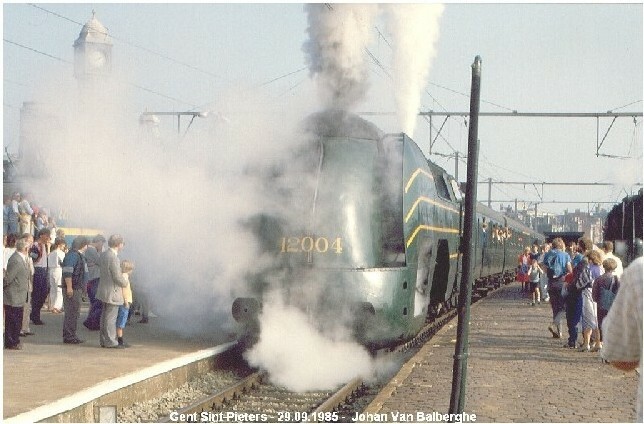 The passage of the station Gent-Sint-Pieters occurred at 120 km / h.
During the Second World War the locomotives little driven. Only since the winter 1946-1947 they returned to find in commercial service. 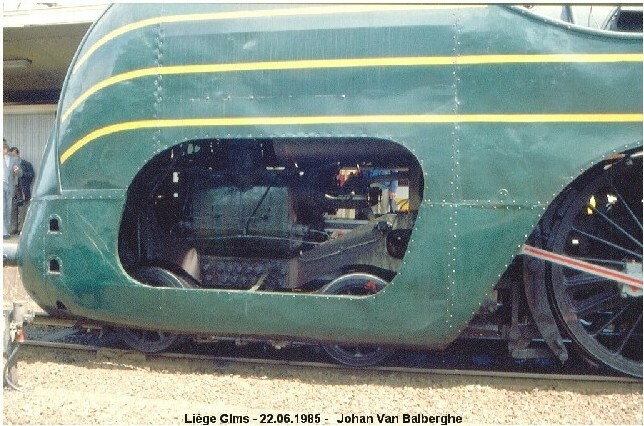 They were successfully converted to heavier trains and were used to drag the lines to Ostend, Liege and Lille via Tournai. 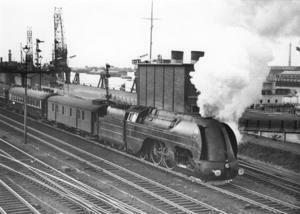 The locomotives were between May and July 1962 out of service 5). 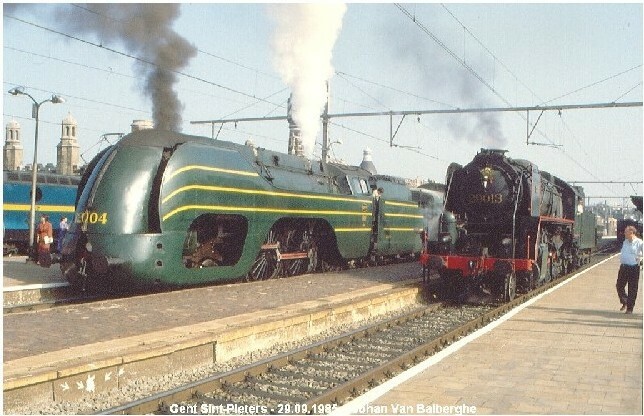 On 12 June 1939 a ride was organized from Brussels Midi to Oostende Quay. 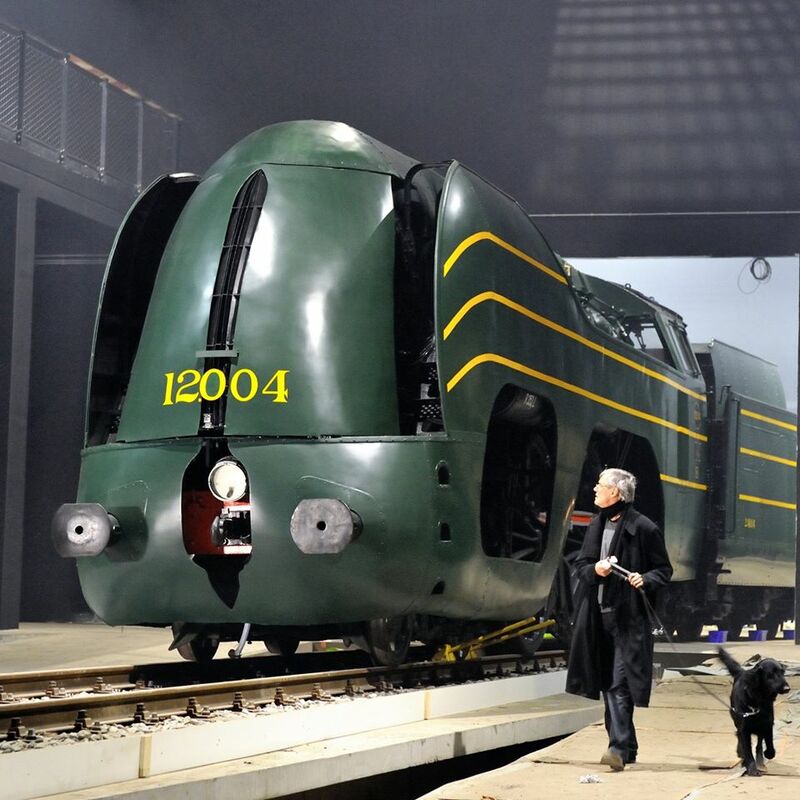 The 1202 locomotive drew a train composed of 4 200 tonnes of metal I-carriages which many personalities and representatives of the press had taken place. They covered the 114.3 kilometers away in an hour, with a minute of downtime in Bruges. 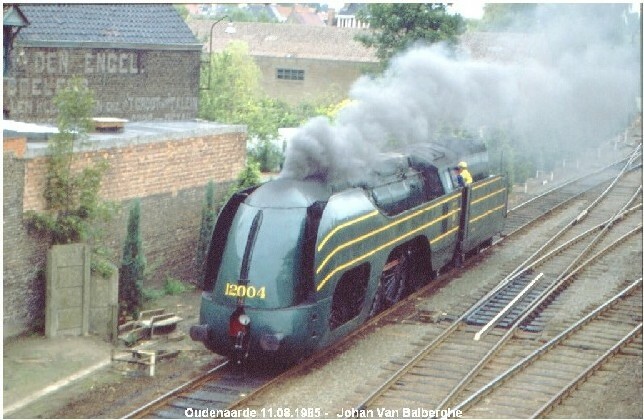 The route between Brussels and Bruges provided to SNCB The Blue Riband for the fastest steam train in the world. The distance of 92.4 km was traveled in 46 minutes. 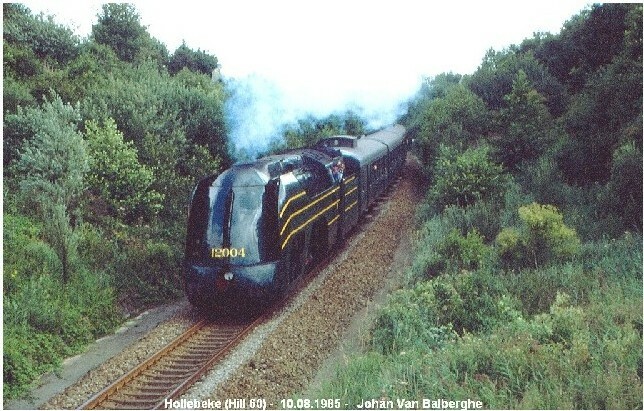 The train reached a top speed of 165 km / h and an average speed of 121 km / h in normal commercial service. 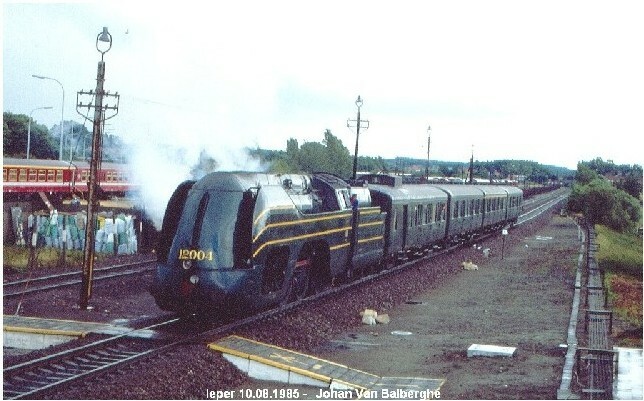 The previous record was held by an American railroad, Chicago and Milwaukee, with an average speed of 119.8 km on the route Sparta Portange (125.9 km in 63 minutes). 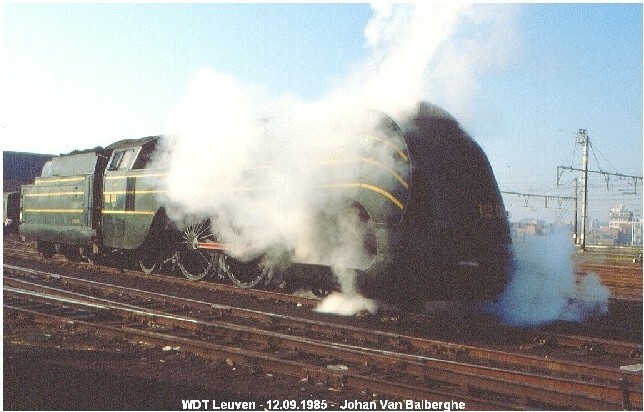 The record kept for several months in early 1940 in Belgium and returned back to the American society, which took an average speed of 121.8 km / h.
The locomotive 12.004 was included in the inventory on 14 July 1939. 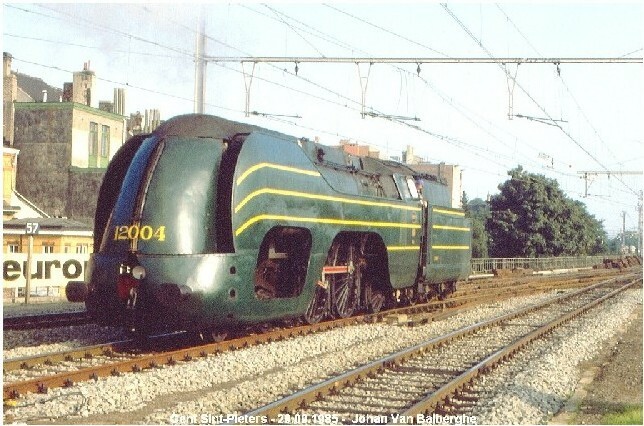 She was assigned to the depot of Schaerbeek, but stayed from June 1940 to end 1940 in Brussels Midi, then again part of the deposit Schaerbeek. 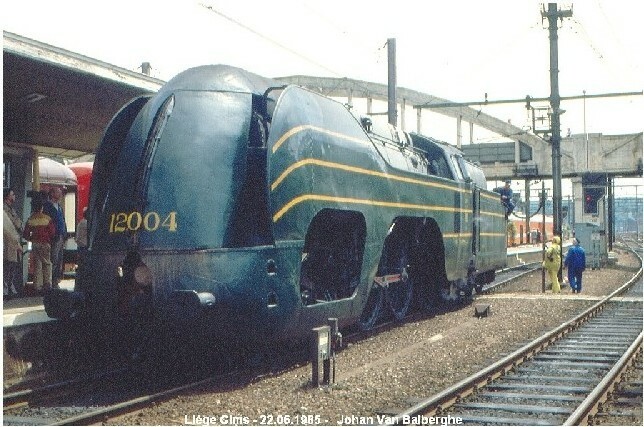 On July 29, 1962 was the 12.004 who ride the latest commercial insurance of all locomotives of the type 12 Atlantic. The route went from Brussels to Lille. 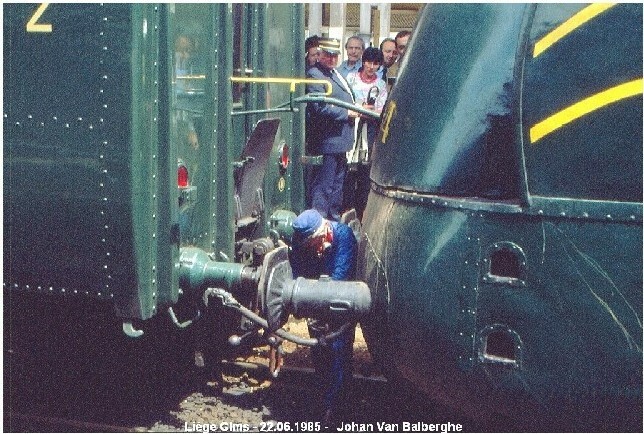 Then the machine was decommissioned on 27 September 1962 and finally removed from the inventory. 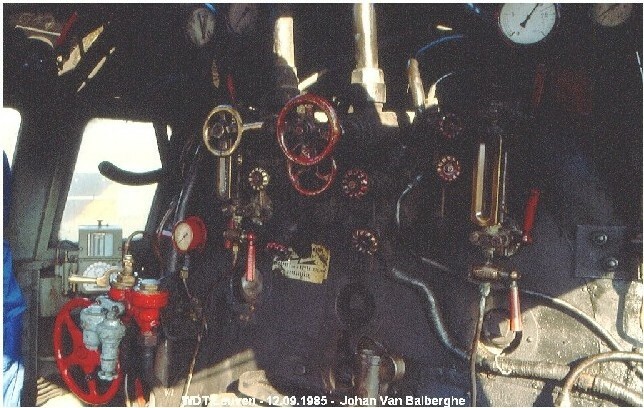 The locomotive was included in the heritage collection of the SNCB. 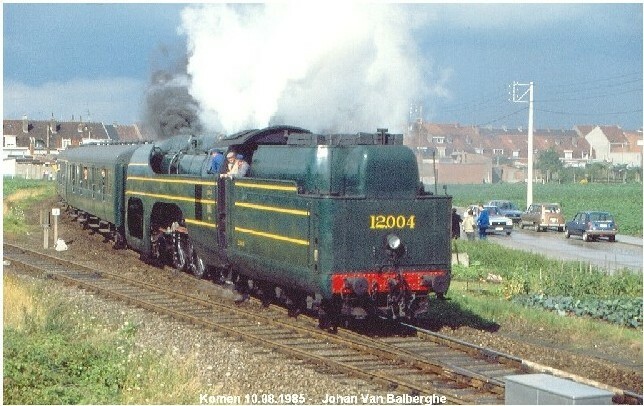 In 1985 she got a starring role during celebrations to mark the 150e anniversary of the Belgian railways. 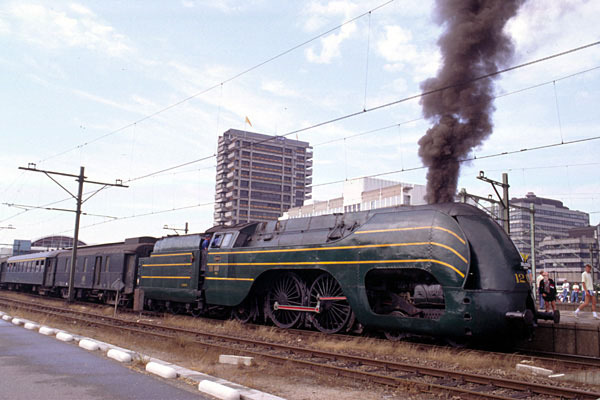 The machine was made ​​awake again and dragged several special trains throughout the country. Then she got a place in the museum repository of Leuven 7). 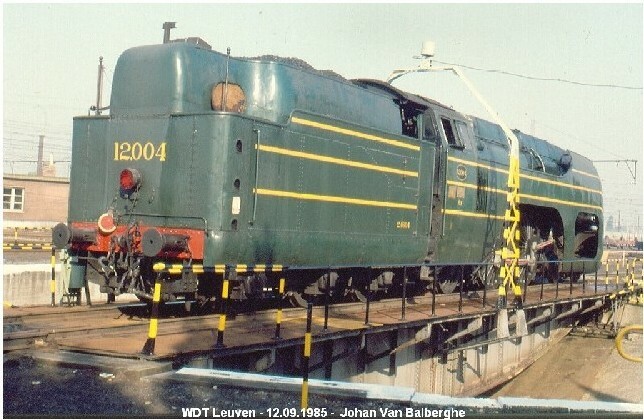 In 2015 the 12.004 was moved to the new Train World museum in Brussels. Utrecht, July 23, 1989. 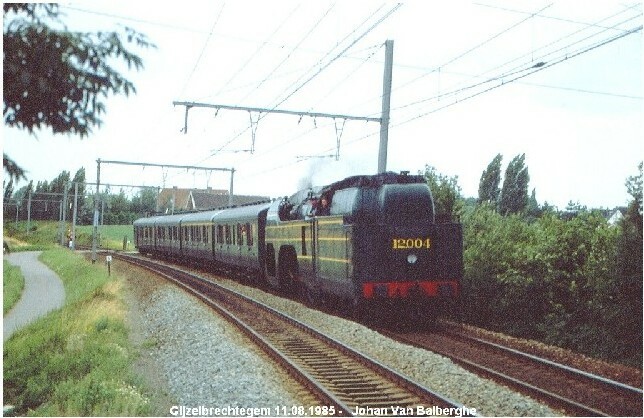 NMBS-steamloc 12.004 leaves with the Sinjoren-express for Antwerp 8).